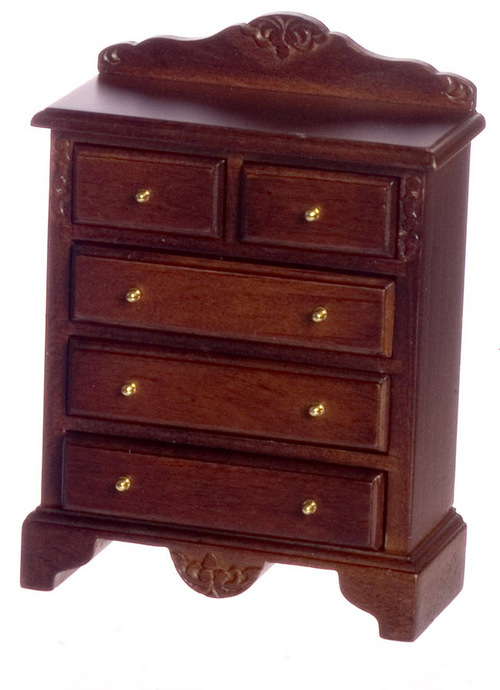 Walnut Dollhouse Dresser - This all wood with brass hardware dollhouse miniature Walnut finished chest of drawers is 1:12 scale and will make a fine addition to any dollhouse bedroom. 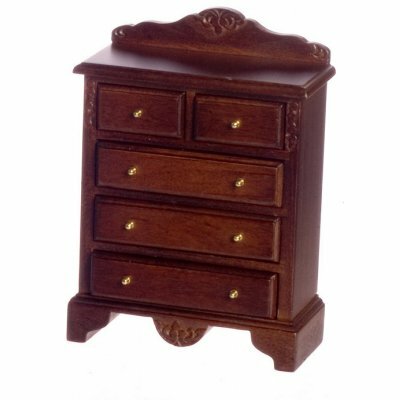 This chest type dresser, has all working drawers with solid Brass hardware and measures 3-1/4''W x 1-1/2''D x 4-9/16''H. 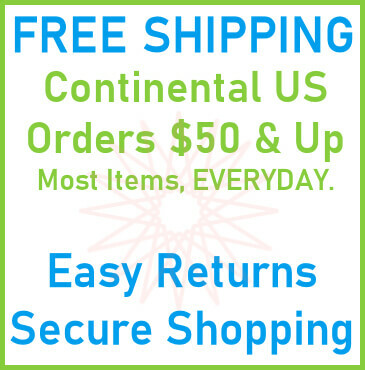 This Walnut Chest of Drawers is supplied by Mary's Dollhouse Miniatures, which generally ships within 1 business day(s) of you placing your order .